Here's where I could trot out a bunch of clichés, like what do you get for the woman who has everything? Or, what do you give to the woman who gave you life? But there will be none of that here. 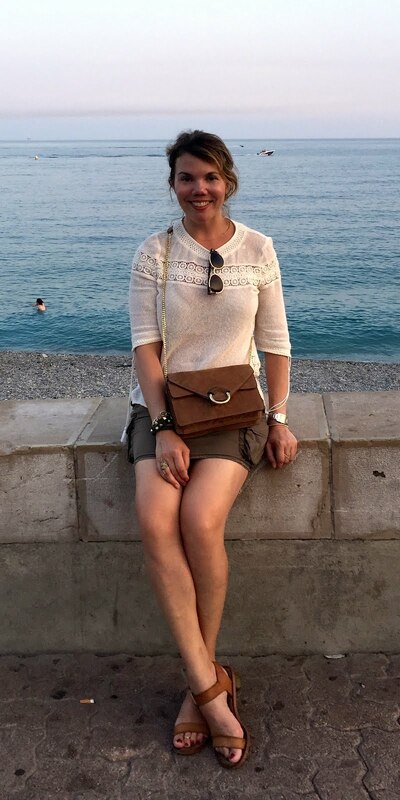 Truth is, my mom is incredibly hard to shop for, and I'll bet yours is too. But here are some options that may not exactly make a profound statement about your existence on the planet, but will at least hopefully say, "Mom, you're awesome." Funny story: My friend NP and I found out our moms have the same interior decorator when their artwork got mixed up and both flipped out about it; I could barely tell the difference between the two paintings, and when I'm at NP's house, I can squint my eyes and feel like I'm at home. 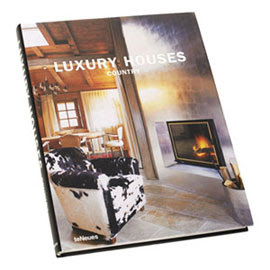 This Luxury Houses: Country coffee table book, on the other hand, is sure to give Mom some fresh new ideas. 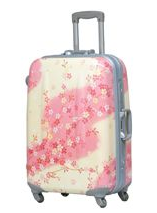 To Florida for the winter, up north in the summer, plus side trips to visit friends in Santa Fe, San Francisco, Paris...this Hideo Wakamatsu Blossom suitcase from Flight 001 will ensure Mom doesn't spend half her vacation waiting at the baggage carousel. I have fond childhood memories of watching my aunt clapping her hands all over her house in search of her keys (she had one of those keychains that responded audibly to the sound of clapping), but to preserve your mom's dignity, I suggest the ingenious doorganizer. After all, mom has more important things to do than keep track of her keys. 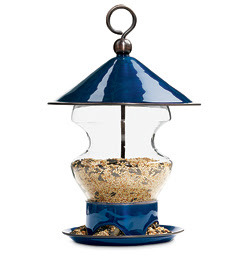 She may not know that birding is the current twee-hipster hobby du jour, but mom will appreciate this enamel bird feeder just because it'll keep the sparrows out of her flowerbeds. 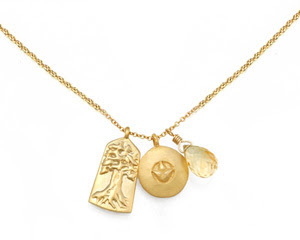 Satya's triple charm necklace has the symbol of radiance, a tree of life, and a lotus leaf to ensure that your mom will be the best-accessorized lady at pilates class. Whenever I got a gift from anyone, my mom would make me sit down and write a thank-you card, which annoyed me to no end. I can't say that the habit has stayed with me, but at least I've developed an appreciation for note cards. 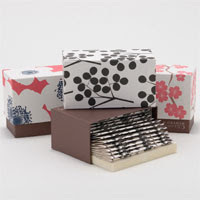 So hopefully mom will put these note sets, from Chicago papiers Snow & Graham, to good use. 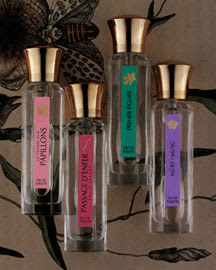 She can take on a different persona every day with the four luxurious scents in L'Artisan Parfumeur's fragrance set--a gift so good, you might have to relive the days where you dressed up in Mom's heels and pearls and tried on her perfumes. 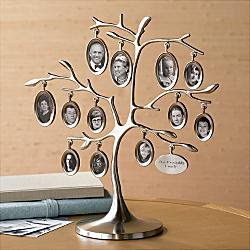 Normally I wouldn't recommend something as banal as a picture frame, but there's something heirloom-esque and sweet about this family tree picture frame. It's also an incredibly efficient way to display a lot of photos, great for the mom who hates clutter. 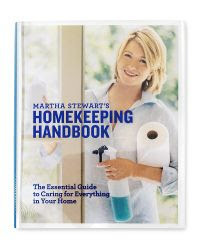 I know many women who think Martha Stewart is a gift sent from the heavens, and if your mom shares that sentiment, she will bow down at your feet when you present her with this autographed Martha Stewart book, an enormous 752-page tome devoted to the art of keeping house. I am not really a fan of giving gift certificates as presents (although I am a fan of receiving them!). However, your mom can use an exhale gift certificate for everything from a manicure to a Core Fusion class, and the fact that there are exhales in many major cities makes it a smart choice. And Mom always encouraged you to make smart choices. Though I'm not a mom, I am a new homeowner... and completely obsessed with the Martha Stewart Homekeeping Handbook. That thing is amazing! I am folding fitted sheets correctly for the first time in my life! Thank you so much for posting this information! I purchased the Martha Stewart book for my mother, she's going to love it!